As it turns out recent studies have revealed some major discrepancies between good intentions or PR efforts, and the actual delivery on promises that directly affect the communities surrounding the closed mining sites. Land rehabilitation and environmental remediation specialists, Ncamiso Mining have turned a passion for the environment and community upliftment into a thriving business. For over eight years, they have been helping mining operations return mining sites to their former glory for the benefit of environmental sustainability and for communities on site or in surrounding areas. Ncamiso’s managing director, Fikile Mashinini, and COO, Tshego Motsoenyane, have drawn on their extensive industry knowledge to provide insight into the key considerations that mining operations should be making when finishing off at a site. Motsoenyane agrees and contends that the massive environmental and financial costs of failed land reclamation efforts have been a burden carried by the government and society. “Specifically, the communities living in or near these affected areas continue to struggle with adverse effects on their health and well-being caused by various factors associated with mine legacy pollution as well as their safety on unstable land,” she says. Ncamiso provides a broad range of services in healing mine dump sites that benefit both the mining operations and communities. They specialise in maximising the revenue of their clients by screening gold from material that would otherwise be sterilised and crushed. Ncamiso also provides a valuable service in the removal of contaminated surface material to rehabilitate the ground—all of which benefit the immediate community. “We are committed to working consistently toward achieving the merging of industries among mining, construction and farming in order to close the gap that was created by mining in the past,” says Mashinini. Many mining operations fail to recognise the significance of the damage that mining does to the stability of the land and to the future viable use of the land. Mining houses should plan post mine closure and recognise their responsibility to reduce all possibility of subsidence to ensure stable ground for the community. Rehabilitating the land can take many forms, such as: simply removing all waste and contamination and stabilising the ground to build recreational parks or even to make the ground viable for the development of low-cost housing. Furthermore, land can be rehabilitated to add to the economic stability of the community by creating hydroponic fish farms, for example. When forethought and energy is properly put into place to consider the post mine closure possibilities, real value can be added to the communities concerned. In the case of the current mine dumps, there is the added bonus and high possibility of an additional revenue stream that can be brought about as a result of rehabilitation of land for residential development. “I would say that this is the ultimate goal for any project — to transform a disused site into something that would ultimately benefit the community,” says Motsoenyane. According to a recent study, the negative impact of mining-related activities on the quality of life of surrounding communities has been extensively documented and is often quite severe. When a mine or shaft closes, communities are often left with polluted air, water and soil not to mention the danger of unstable ground if the shaft and ground underneath has not been stabilised. “Unfortunately, consultation with the community on rehabilitation is often neglected or characterised by limited information sharing with the community,” says Motsoenyane. Environmental remediation reduces the state’s liability for a number of reasons. For example, the reduction in the quantity of waste rock that needs to be rehabilitated and reprocessed. “The joint projects between Ncamiso and our clients help both parties to build and strengthen the relationships between the mine and non-mine stakeholders – this has the added benefit of greatly reducing state-owned liability,” states Motsoenyane. This is due to the fact that land rehabilitation projects are typically endorsed by the Department of Mineral Resources, who perform a watchdog role when it comes to environmental remediation of previously mined land. One of the main concerns on sites, once mining operations pack up and move out, is that illegal miners move in. This is not only a major safety hazard but poses a threat to community members as well – all of which the mining company is ultimately held responsible for. Consideration and planning to efficiently clear the land of any minable material and rehabilitating the land eradicates the dangers associated with illegal mining activity. “When land rehabilitation projects are in progress, Illegal miners are completely removed from these sites firstly by increased security on site and by the fact that with environmental remediation completed, it is no longer a viable site for them,” explains Mashinini. As part of the overall land rehabilitation projects that Ncamiso takes on, they help to increase revenue through the recovery of gold that would alternatively be sterilised and crushed for building aggregate. Mining houses should not underestimate the additional gold yield in mining dumps and in opencast mining of previously-mined land. “The environmental efforts that lead to job creation and mining houses being recognised for their dedication in uplifting communities and helping macro scaled businesses post mine closure, has the added benefit and knock on effect in the increase in wealth from gold sales for South Africa as a whole.” says Motsoenyane. In fact, many mining operations would be surprised to discover just how much additional gold can be recovered from these sites. Earlier this year, work on two projects saw Ncamiso recovering a combined total of just over 600kg of gold.“We believe that at the core of all mining business operations should be the aim to contribute to the sustainable growth and upliftment of the communities they work in. Ncamiso is passionate and dedicated to making a difference. We believe keeping this sentiment at the heart of our business will result in an increased ability for us to support South Africa’s mining companies in the right way,” says Mashinini. For more on this proudly South African company, Shae Scott-Crossley caught up with the knowledgeable Mashinini for the inside scoop. What motivates your passion for mining and in particular post-mine closure rehabilitation? I was born and bred in a mining town and so mines formed an integral part of my childhood where we looked up to the father’s that worked on the mines. As a young adult I started taking notice of the mine closures and how the former mine employees would use their skillsets from working on the mines to forage for ‘left-over’ gold. This made me realise that there was still value in the remnants of the closed mines, but also that this was a dangerous exercise to be trying to mine on unstable and potentially contaminated land. With the rise in unemployment around the closed mines, there was an increase in ‘informal’ mining. This really bothered me and it struck me that if I could formalise the activity then I could be onto something. I joined the informal miners to learn their ways as well as to earn their trust. With this knowledge, I then established and became the chairperson of the small scale mining association in the East-rand. The association was focused on formalising the activity of informal miners and this was way before the illegal mining, that we see happening today, was a prominent sight at closed mines. This association led me to a presentation in 1999 for the United Nations at the round table in Berlin for international informal small scale mining. This is how the journey began and my passion grew. Your company prides itself on giving back and boosting the economy of the communities in which you operate. Why are you so passionate about giving back to the communities affected by mining operations and closures? My passion for giving back to the communities affected by mining operations and closures is fuelled by the unemployment rate in South Africa as well as the poverty in the areas that were once dependent on the mine’s operation for survival. This also restores the dignity of the ‘breadwinners’ who would otherwise be unemployed, therefore improving the livelihood and socio-economic status of the people in these areas. It has been proven in the past that poverty and unemployment lead to social ills and I’m passionate about preventing this as far as possible. Why should mining companies focus on the impacts of their operations and set in place strategic plans for post mine closure? Mining companies need to embrace their responsibility to the communities they operate in. 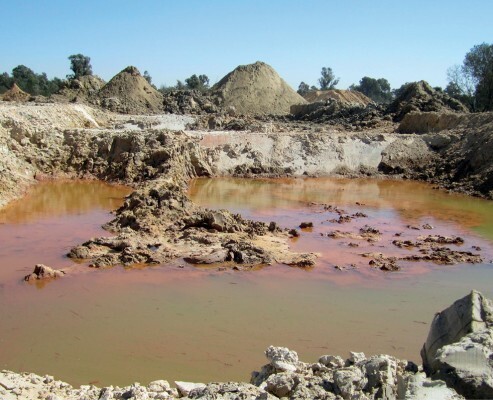 The impact of mining operations, that are not properly closed, are far more than the eye can see, besides the dust, dumps and old infrastructure there lies a health problem in that the water, soil and air is contaminated. 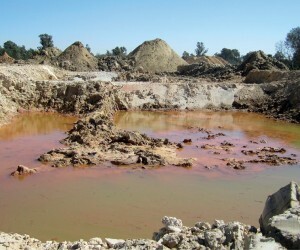 The water is more often than not contaminated with acid mine drainage, the soil profile is also affected making the land barren and un-useable. The air is left with contaminants that lead to health problems, such as silicosis and other respiratory tract diseases, not to mention unemployment and the actual land being unstable. It is important for any mine to have closure and rehabilitation plans for the future and for the possible unforeseen circumstance that could lead to closure before the projected timeframe elapses. In recent years, there has been a strong emphasis from the DMR and DEA for mines to rehabilitate as they mine. As part of this emphasis, the DMR have put strict measures in place to see to it that mining houses pay an upfront percentage of their projected profit before mining commences, so that there is a budget for rehabilitation should the mine close prematurely. It is vital and should be the highest priority for a mining house — to plan and ensure viable sustainability of the environment post mine closure. Should there be a stronger focus on education in end-land use and environmental responsibility? Without proper education for all mine employees on the impacts of mining, mining houses will remain ignorant of the adverse affects on communities. It is imperative that there is a stronger emphasis on education in end-land use and environmental sustainability. There is a move for mining houses to employ in-house specialists that deal specifically with environmental issues. On a macro scale, how healthy is the South African mining sector after a volatile 2015 for some sectors, where are the growth opportunities? The South African mining industry is a rather bumpy one. With the rand’s fluctuations over the past year the industry has also suffered, but I must say that the surface source and open cast operations are healthier than the underground, the capital outlay is much smaller and the returns are higher. This has positive implications for the health and safety of the employees as they are at a much lower risk than when working underground. With the current gold price there is a better opportunity for growth in mine tailings around the Gauteng province that have a much lower grade per ton value but are cheaper to mine. For example, mining houses would rather treat a surface source then sink a shaft; therefore it creates an opportunity for re-processing. How environmentally friendly is the mineral exploration of 2016 compared to 20 - 30 years ago with less technology? With the improvement in technology over the years, mineral exploration and the exploitation thereof has become much easier, safer for the environment and more cost effective. Although the minerals removed cannot be replaced it is important to see to it that mining is done correctly so as to allow for the remediation of the mined land to return as close as possible to pre-mining conditions. The most preservative manner in which this can be done would be to do “planned-stripping” of the land during preparation so that the original soil profile can be replicated post mining. The last 20 - 30 years of mining is still clearly visible and has become part of the topography, hence there is a great need for “rehabilitation”. The positive is that the current manner in which Ncamiso mines means that 20 - 30 years from now the remnants of today’s mining activity won’t be as visible. Why is surface mining preferential in terms of the wellbeing of communities and workers? Surface mining guarantees the total removal of the mine dumps that are an eyesore on the landscape. Removing the mine dumps and rehabilitating the land affords the community a useable piece of land that can potentially provide a source of recreation in the form of parks or even economic growth in the form of housing development. In surface mining, there are no shafts or voids left which removes the risk of subsidence. It is also safer for workers and has far fewer health risks. Ncamiso Mining prides itself in mining in such a way that does not interfere with the wellbeing of communities. We do not do any blasting, but rather use the safest options such as a hydraulic hammer and the eccentric ripper to break the rock. Small considerations in responsible mining go a very long way in building trust in the communities. Where have you felt that your efforts have had the biggest impact in a community? In one project Ncamiso employed 1 000 people in the remediation of a dump with a PGM mining house in the East-rand. This is, to date, the company’s largest local community employment by a single project. We have had a number of projects where more than 100 people and even up to 300 local people have been employed as reef pickers. This has a positive effect on the communities in that it builds hope and develops skills that empower the people to be able to do more for themselves, even after Ncamiso Mining is finished with the rehabilitation of the particular area. Ncamiso Mining is known for peaceful efforts to eradicate illegal miners—explain the negative impacts and/or dangers that arise when there is illegal mining activity and how the communities are affected by their presence, and in turn bettered by the eradication? The eradication of illegal miners is somewhat of a catch 22 situation in that the “illegal miners” are heads of households that are looking to put bread on the table for those dependant on them. With the poverty levels in the country and its neighbours one can’t entirely blame them for their efforts to earn a living. However, it is an illegal activity that births and breeds other illegal activities. Ncamiso Mining eradicates illegal miners peacefully by removing the resources that they are dependent on. This usually results in them seeking employment from us instead, which gradually decreases the other activities that are born off illegal mining in the sites where we operate. How best do you balance profit with human interests/employment, and the needs of the environment/communities/development, etc.? We are focused on the community and environmental benefits as the first priority. Profits come when your intentions are right. We engage in stakeholder forums that include, but are not limited to: the mines who are our clients, the communities affected by the activity, the DMR, DEA and SAPS. These forums have the sole purpose of ensuring that all needs are met during the projects. The profits of our projects often only cover the wages of the community workers and operational costs, but the benefits are far beyond monetary. Through employment of local residents, CSI initiatives and the support of aspiring business in the form of using local SMMEs, we balance the communities interests with our own environmental responsibility as well as the best interests of the mining houses.